Staying in touch with the latest in safety technology is paramount to the Royal Prince Alfred Yacht Club’s sailing committee, particularly when it comes to sending its Club Marine Pittwater to Coffs Yacht Race fleet offshore at night through major shipping channels. The Pittwater to Coffs Notice of Race, which is now available online for prospective entries, includes a new requirement that adds the latest in positioning technology to the fleet’s inventory of safety gear. For the 2016 race to Coffs Harbour starting January 2 off Palm Beach headland, all competing yachts will be required to carry an AIS transponder, technology that is readily available and brings increased benefits, particularly when navigating through busy shipping channels such as off the port of Newcastle on the NSW Hunter coast. AIS, or Automatic Identification System, is a maritime communications device that uses Very High Frequency (VHF) radio broadcasting system to transfer data via a VHF data link. AIS equipped vessels can send and receive identification information plusposition, course, speed, and ship particulars that can be displayed on an electronic chart, computer display or compatible navigation radar. Skipper and Club Marine Pittwater to Coffs Yacht Race organising committee member Robert McClelland says AIS gives a very accurate picture of all ships, much more than radar is able to do, “given AIS’s ability to ‘look around corners’ because it’s based on a transmission rather than a point-to-point approach. The Rolex Fastnet Race requires AIS on every boat and the Volvo Ocean Race used the technology heavily during the most recent edition of the round-the-world race. “From a performance point of view the VOR crews were able to keep an eye on each other using AIS,” McClelland points out. “It opens up another avenue for monitoring the fleet that can aid in navigation and decision making. “There are lots of side benefits other than being able to stay out of the path of a huge ship at night,” he added. The transponders are easily hardwired into the boat and simple to use. They utilise a boat’s existing VHF antennae, which the Coffs race fleet is required to have. AIS is being introduced for the club’s flagship offshore event as an additional entry requirement and safeguard to complement the requirement for Sat phones and the YellowBrick tracking units. Owners planning to enter the 2016 race to Coffs can look forward to the same simple and streamlined online entry process, and can choose to enter a monohull and be scored under IRC, ORCi, and PHS handicap systems, a multihull (OMR) or the short-handed division. So far three keelboats and two multihulls have been nominated for the 226 nautical mile race, including Brian Pozzey’s Frantic which will cruise down from the Royal Queensland Yacht Squadron to join the dominant NSW fleet. RPAYC’s sailing office staff are available to answer questions and are more than willing to step owners through the qualification and entry process. Enter here before Friday December 4, 2015. 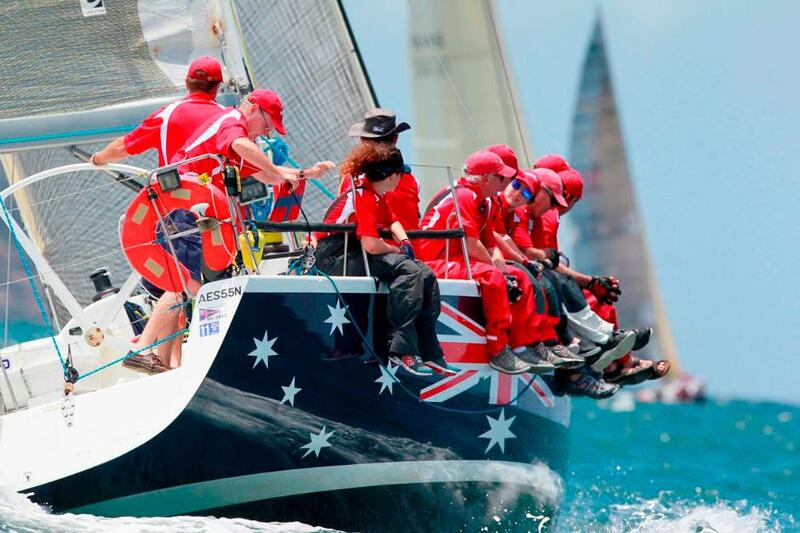 Club Marine, Australia’s largest provider of pleasure craft insurance, is proud to be the naming rights sponsor of the RPAYC’s Pittwater to Coffs Yacht Race.